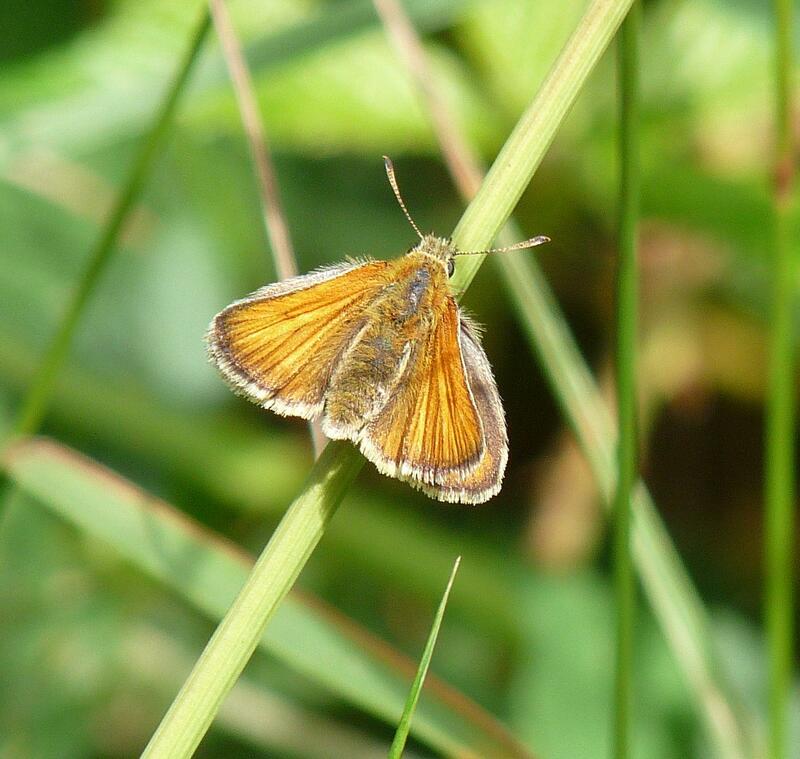 It’s been a while since I wrote a blog post about wildlife sightings, largely because they have been few and far between – not so much the sightings as the time to make them in the first place! However, having spent both my husband and my father’s birthday’s on Noar Hill, near Selborne in Hampshire, I thought I’d share our increasing love of the place. 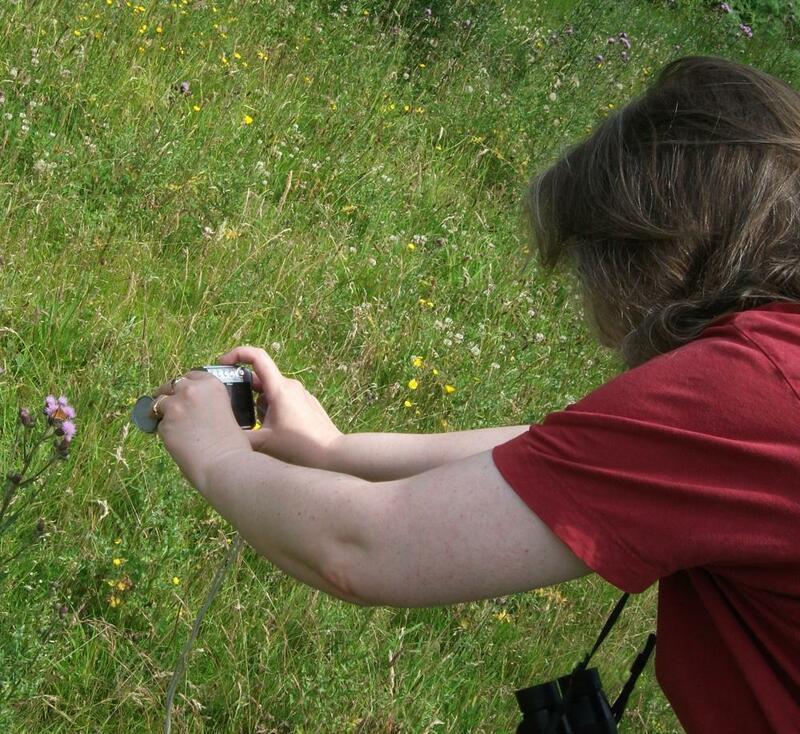 At the very end of April my husband and I spent a rather cool day in this nature reserve which boasts among other things great views, and a friendly throughput of knowledgeable wildlife experts happy to stand, talk and share their expertise. 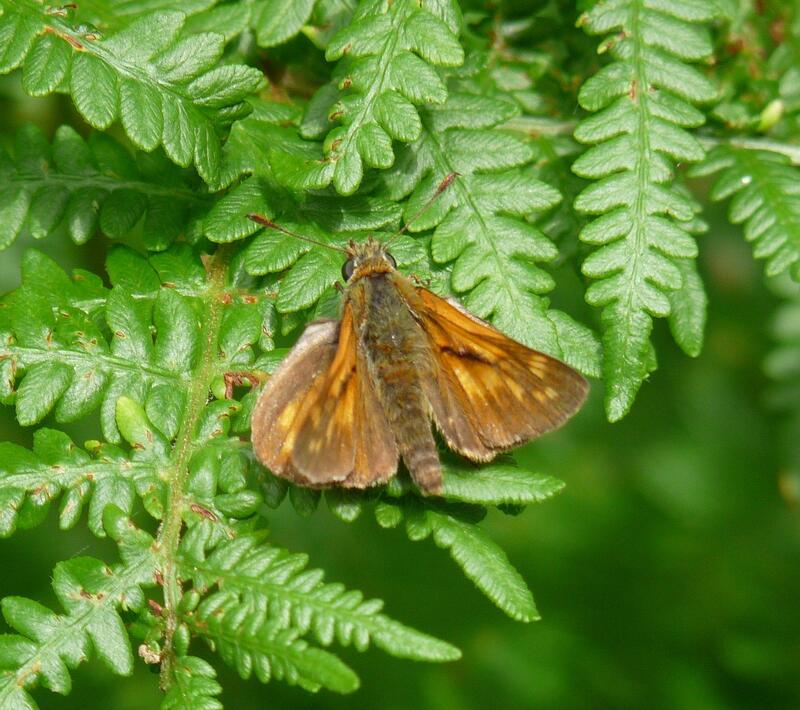 Though we met people who had seen a Duke of Burgundy (a rare butterfly for which the hill is known) and also Green Hairstreak, we drew a complete blank, notching up only more common species like a Peacock and an Orange Tip. Chiff Chaff… or Wood Warbler? We did however see emerging Twayblade orchids, early Common Spotted Orchid, and got some good sightings of singing Chiff Chaff and I photographed this little warbler at close range, which I assumed was a Chiff Chaff (it wasn’t singing so I couldn’t be sure). I’ve since been told by a chap on a birding Facebook group that it might be a Wood Warbler because it has brown legs, though it would have only just arrived on migration if that was the case. Any guidance or definitive explanation would be most helpful via the comments please! Here are a selection of the treats from the day, though not including father’s fab photo of a Yellowhammer taken out the car window before I’d even managed to park! 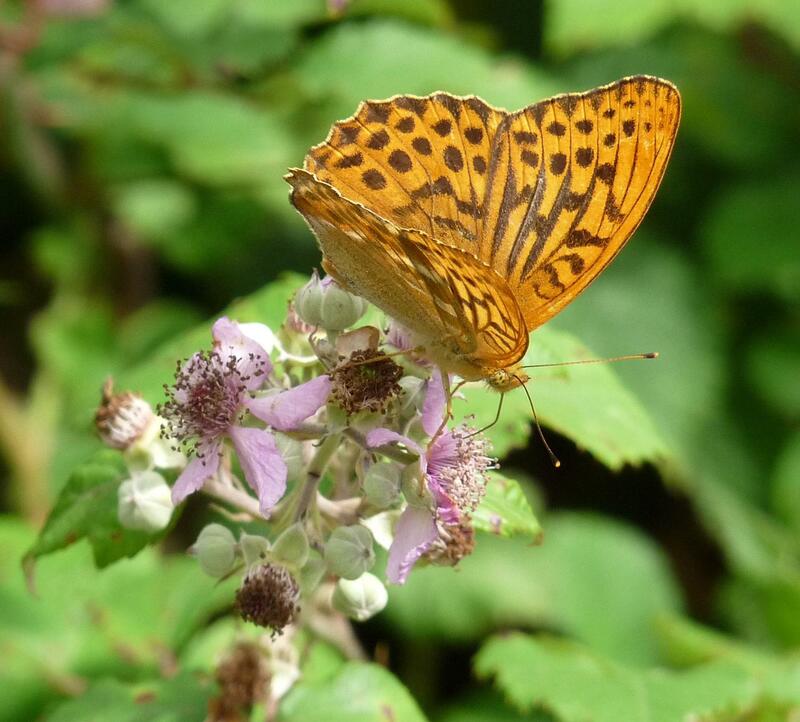 I thoroughly recommend a visit to Noar Hill, but don’t miss out on Selborne. There a great public loos at the free car park by the pub, and of course Gilbert White’s house and it’s associated walks, but there is also The Selborne Tea Room and it’s lovely cheese and watercress scones that aren’t to be missed, unless they’ve sold out (again)! A butterfly in the hand is worth…? Dandelions?! 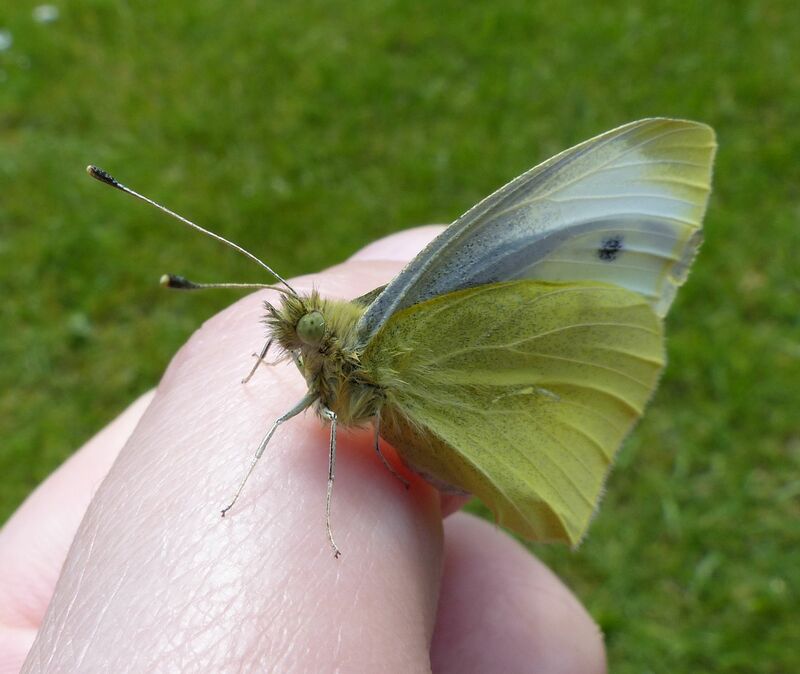 Small White rescued from drowning in a plant trough! I had spent the morning finishing a book about Forest Church and connecting more consciously with God through nature, and the idea of natural theology where we actually come to understand God directly through his creation. 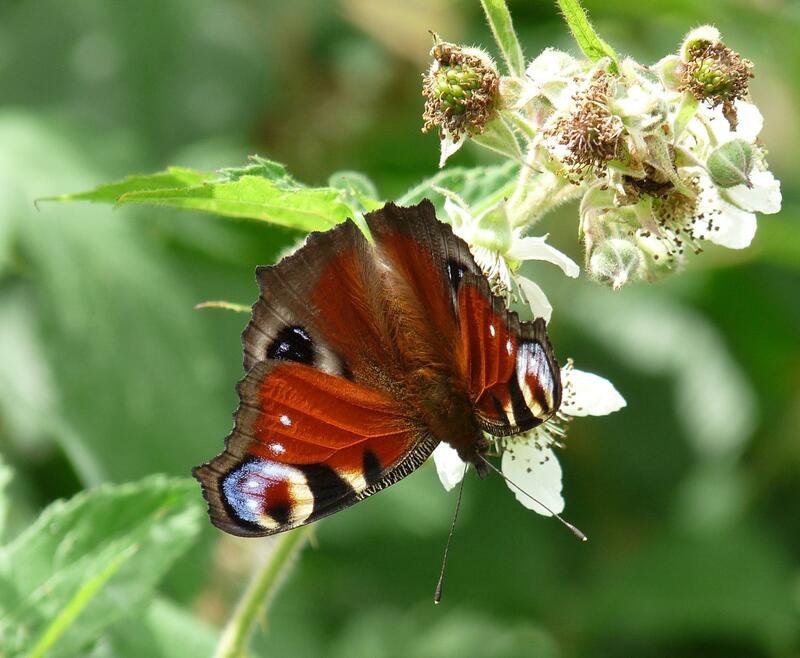 I went into the garden to have lunch on the bench in the sun and spotted a butterfly, apparently dead, floating in the water trough under our raspberry plant (itself rescued from the compost heap last year). 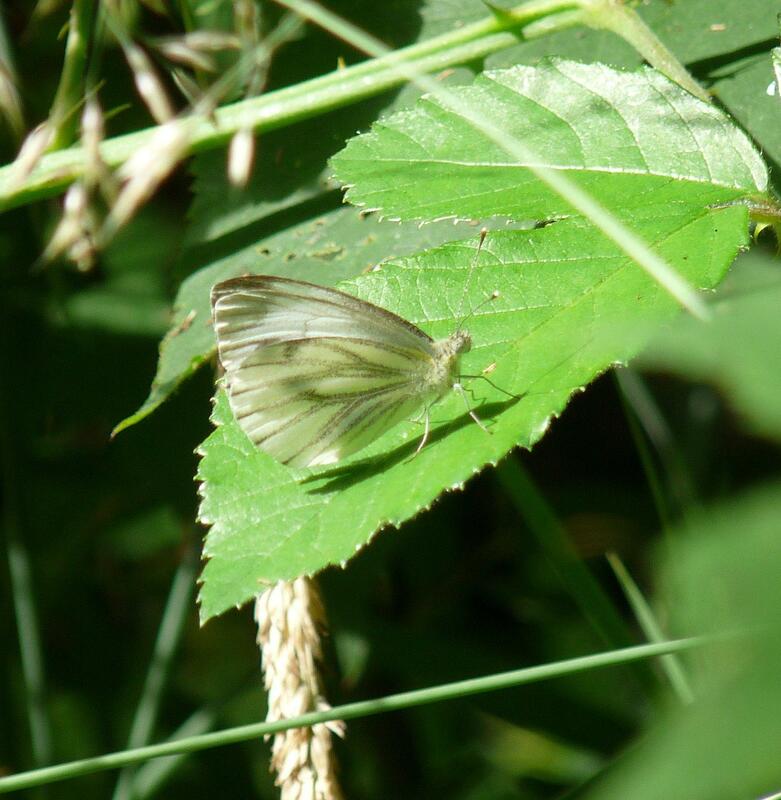 I fished the Small White butterfly out to get a close up of it’s wings – at which it promptly struggled feebly in my hands. Minutes later, sat in the sun and with the heat from my hands, it was much revived and posing for photographs, some of which are here. A real resurrection moment! Peacock butterfly on a Dandelion. I had already planned to take a walk in the sun – the forecast telling me this was the best day of the week to do so (Wednesday) – and spend some time with God. I also consciously broke one of the rules of Forest Church, which is not to be too attached to your camera! 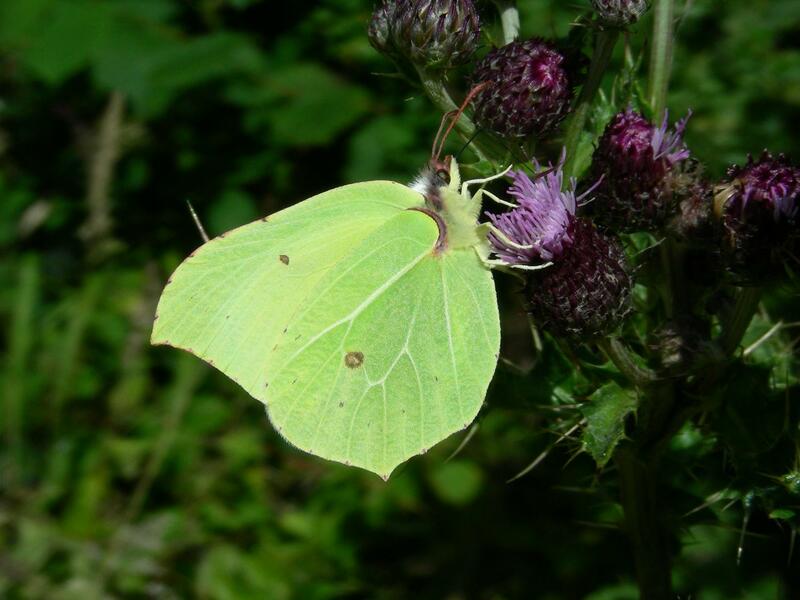 On my usual walking route through which I watch the seasons and wildlife, I notched up a further species of butterfly: Green Veined White, Peacock, Tortoiseshell and Brimstone. 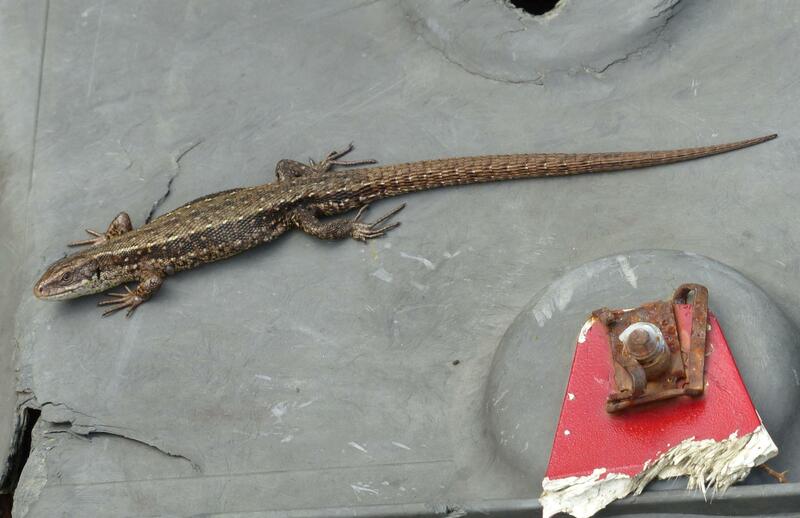 I also found the Common Lizards, Graham and I had found about ten days previously basking back on their piece of car part on Blackbushe. 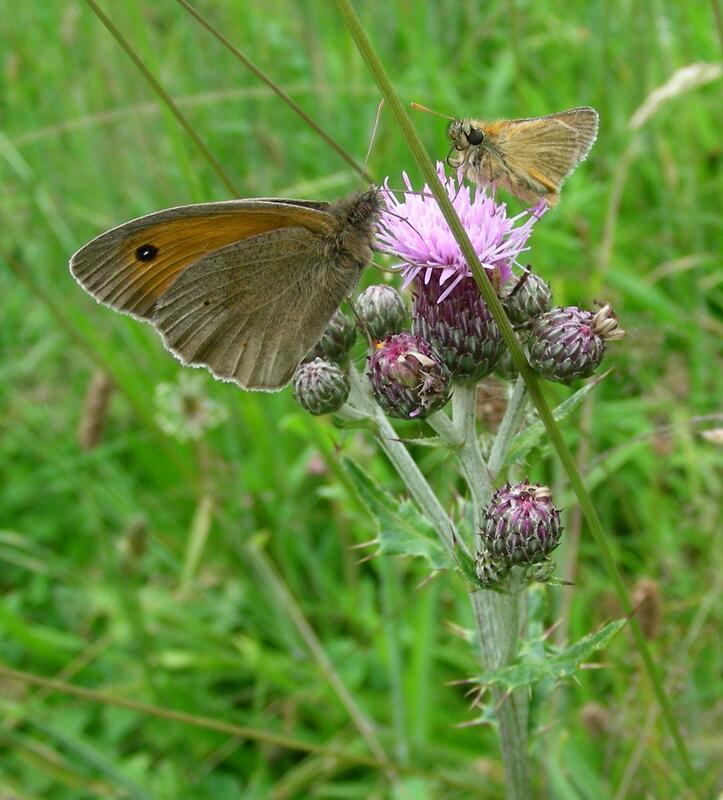 To my utter delight, I also found two species that have been missing from my usual route since the filming of Rush. There were three Stonechats present, and a pair of Schedule 1 species I’m not naming! 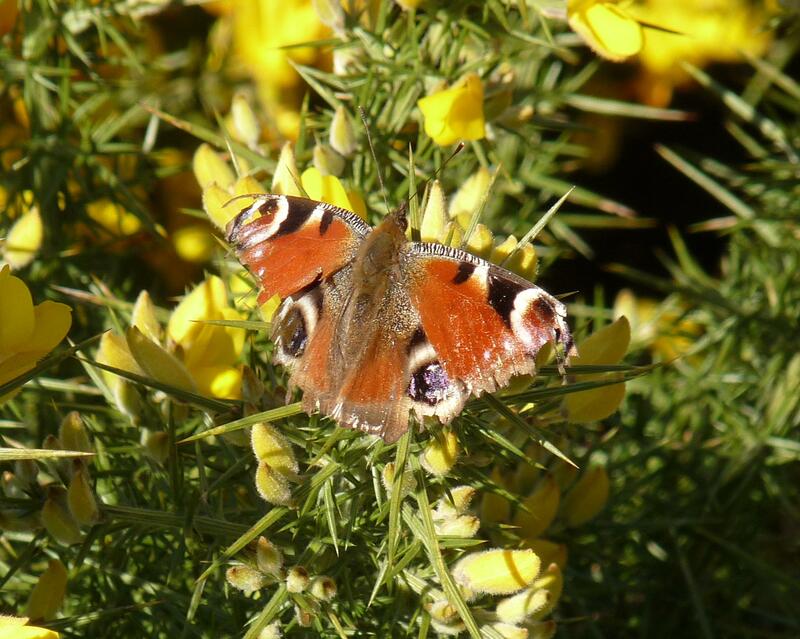 Time to start being even more careful not to disturb those nesting in the Gorse and Bramble bushes methinks. So what among this wealth of wildlife did God say to me? Well it involves Dandelions. As a gardener I loath them, far, far more than Daisies which I’m more than happy to live with. In fact as I finished my butterfly rescue I picked all the Dandelion heads I could in the garden. 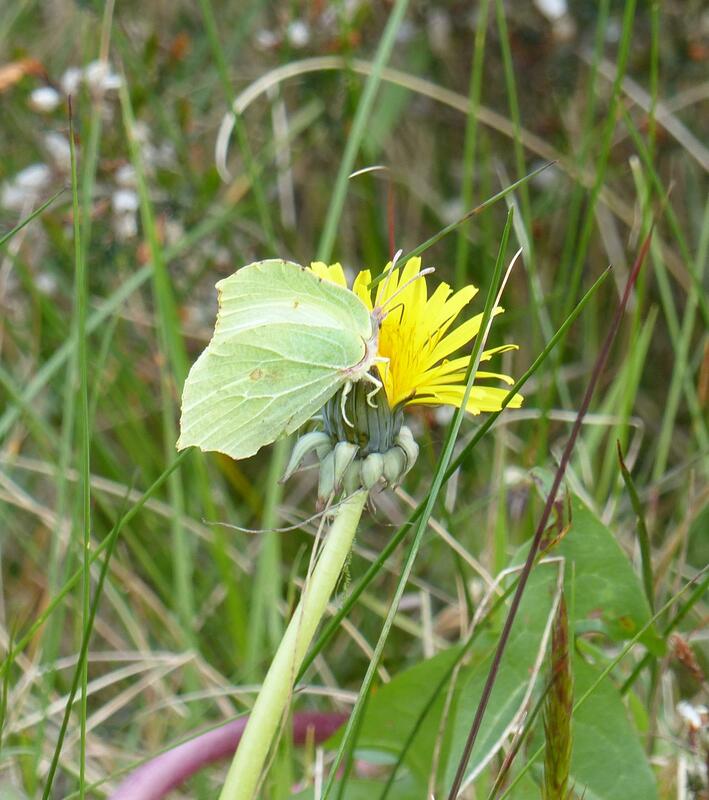 Female Brimstone on a Dandelion. Once outside though, all down the verge, across the public field that is not longer cut regularly (which I claim as a blogging success story because they only stopped mowing after I got my Councillor friends to look at the issue), there were literally thousands of these bright yellow heads, or their seeds blowing everywhere in the breeze. For starters I though they’d make great evangelists, noticeable, prolific and seed well into the surrounding community! 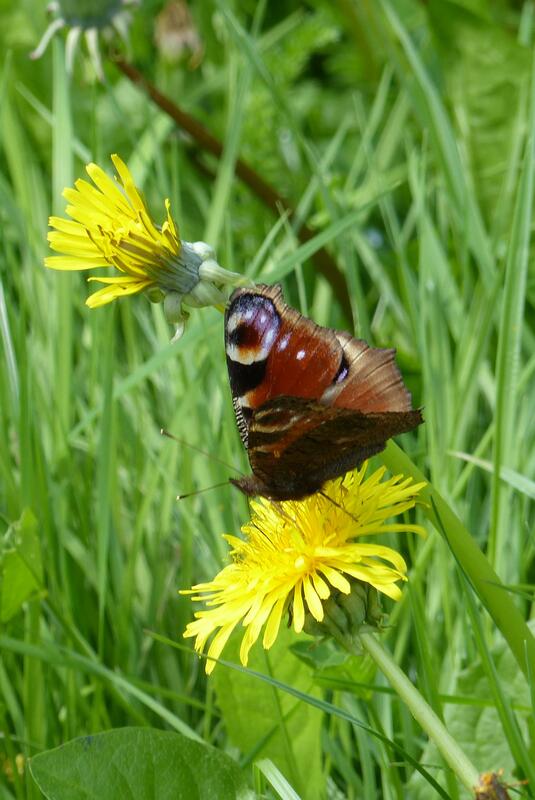 Then I realised what all the butterflies I photographed were feeding on,… Dandelions! So they’re full of nectar too, obviously a good source of nourishment to our little winged friends. should I stop dead-heading the Dandelions in the garden, or see if I can at least put them to good use – Dandelion tea anyone? should we try to be like Dandelions in our ministry; bright and noticeable, providing refreshment, prolific and sowing seeds everywhere? Very quick post with a record of our evening stroll. The venue was Blackbushe and it’s surroundings again as usual. 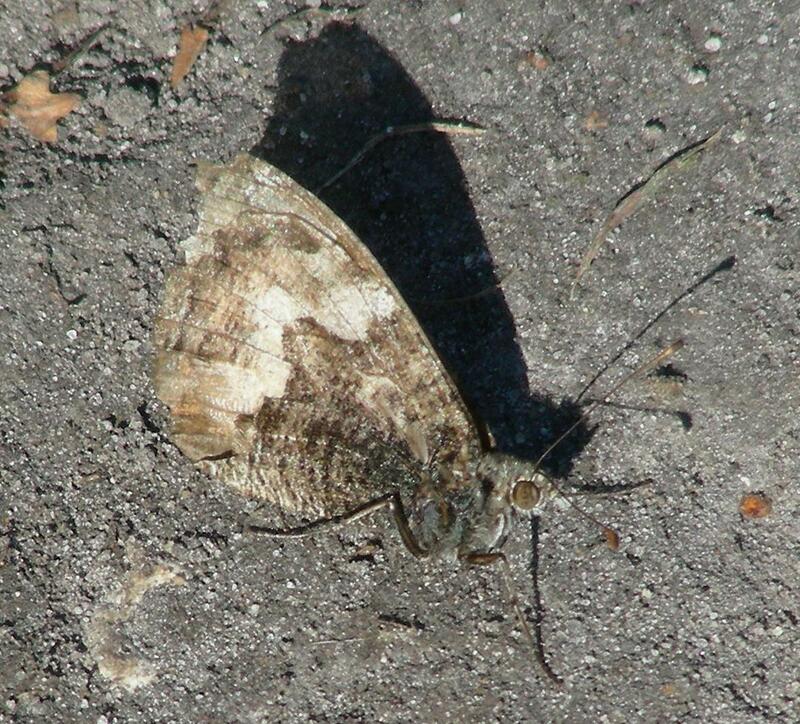 This Peacock Butterfly looks like it overwintered – though how any butterfly can survive the winter we’ve had, I really don’t know. 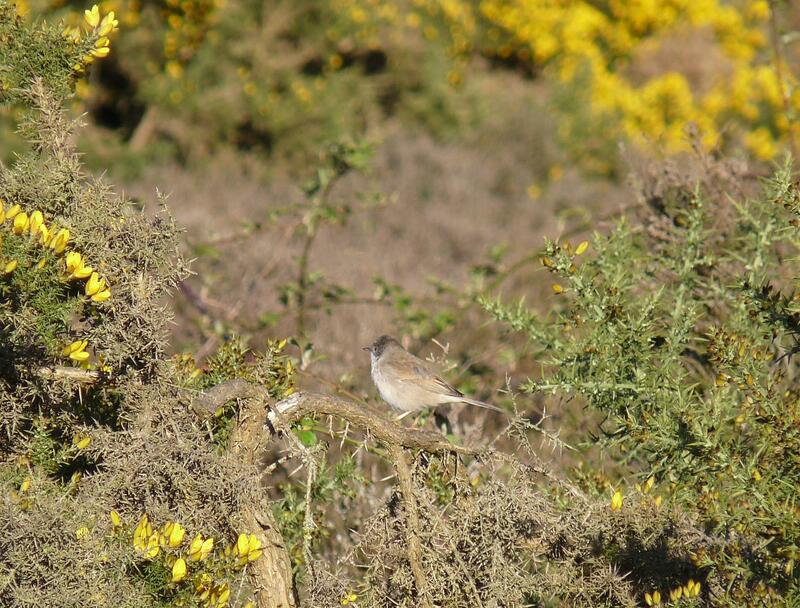 The Whitethroats are still showing well, and with patience, I’m getting closer! 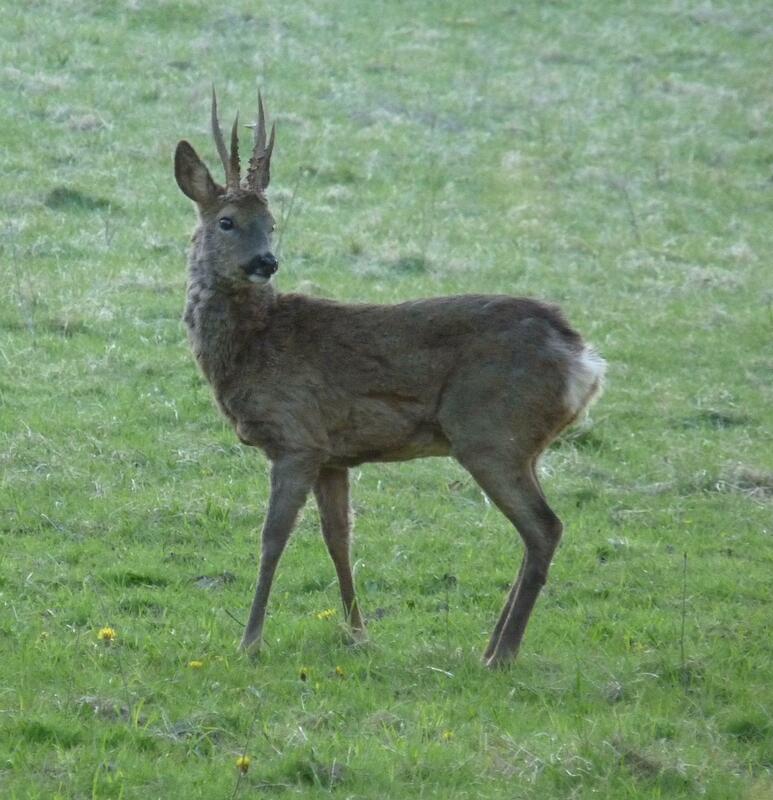 The Roe Buck was the star of the evening though, he was in the bottom corner of my favourite field, not far from the gate. I got close enough to lean the camera on the gatepost, and took loads of photos, until a couple who had entered the top of the field and walked round to the gate, disturbed it and it headed back into the copse. We were surprised, they never even paused to watch, even though they can’t have failed to see it! There are more photo’s on my Flickr site, including a couple taken yesterday in the old chapel at college. They’ve kept the ‘chancel’ area round the altar for quiet prayer meetings, but the rest is now a quiet space to work in – by far the most comfortable and now my favourite place in college. In case you’re wondering, the walks are an attempt to keep me sane when I’ve got lots of stuff to think through, and the fresh air and exercise are good for me too! Today the sun has come out, term is over, the lad is home from his school music tour to Austria, and all is well with the world. 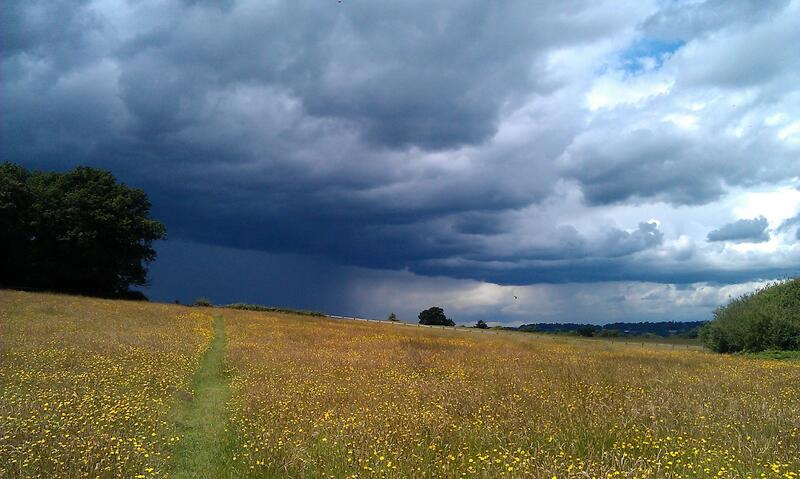 But, it has been a tad showery recently, don’t you think?! I guess most of us have grumbled about the wet; even if we’re delighted there is no-longer a hosepipe ban, it’s not like we’ve needed the hosepipe! But just think how the little creatures have faired? 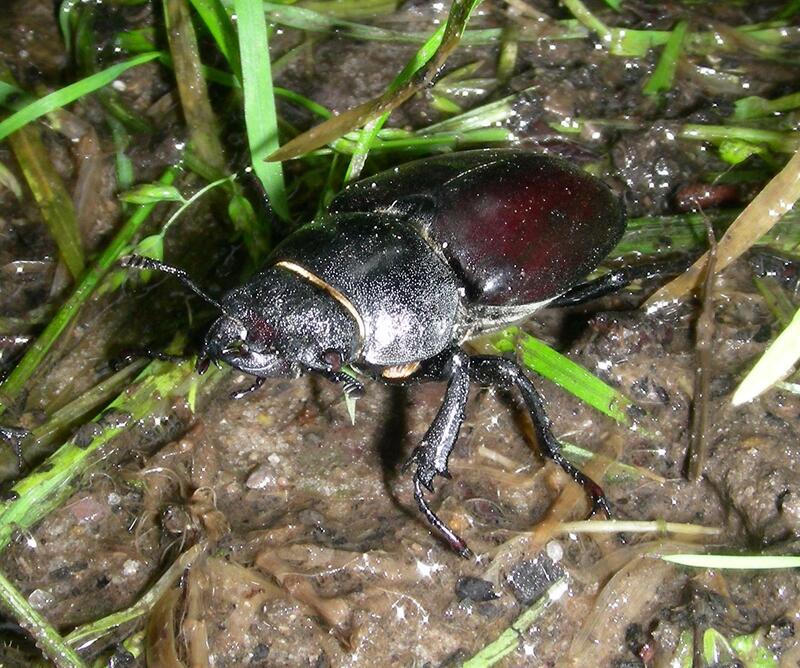 Even if you’re a big Stag Beetle, the mud and the wet must make life a huge struggle, not to mention the fact that mid July is actually quite late in the summer to be seeing them! 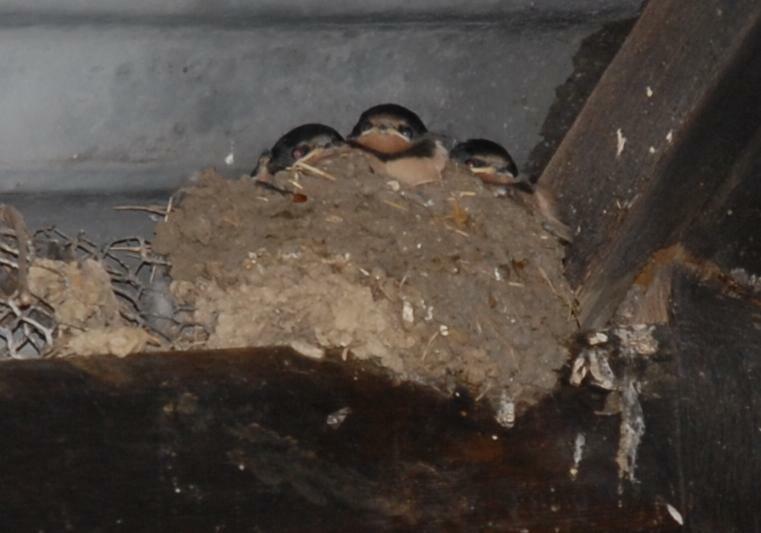 It suggests that the female shown here, hadn’t yet had a chance to lay her eggs perhaps? 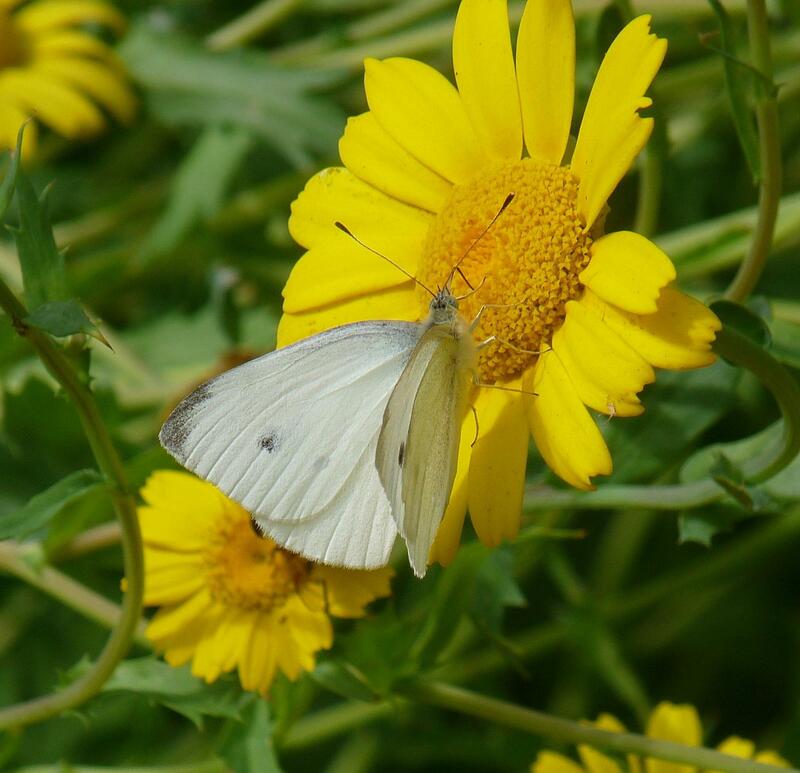 For the butterflies, it might seem even worse. If you’re trying to hatch and dry your wings as a deluge like the one shown above arrives, what chance have you got of survival I wonder? But, the sun has been out, and between the showers it has been a joy to grab a camera, and a walk, and make the most of it. Now that summer has really come perhaps, what more #dogwalkdelights (as I call them) will be revealed? Who knows! I remembered the camera when out walking the dog today. After a little incident with a young Roe buck (when I didn’t have anything except my phone) a few days ago, this was a major step forward. 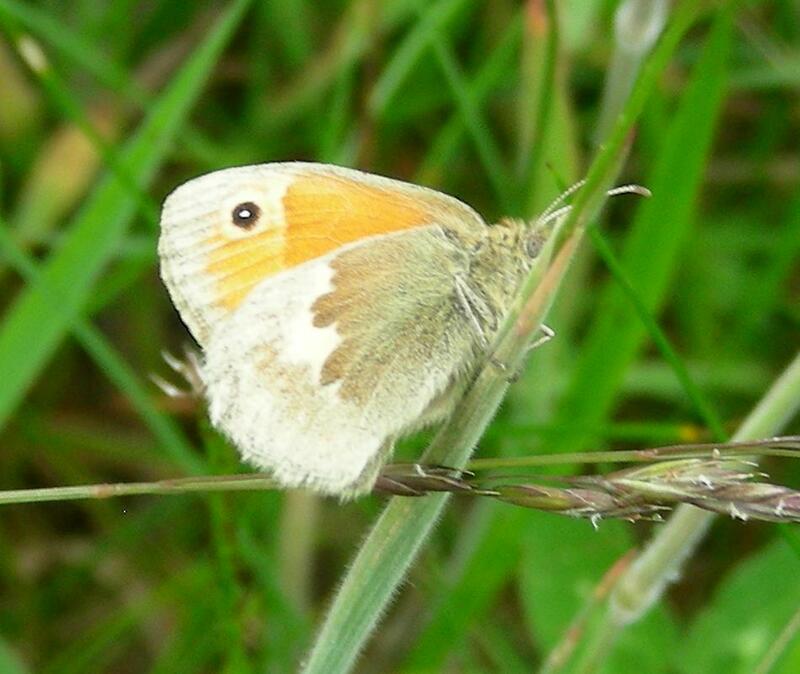 There are often plenty of these Small Heath (Coenonympha pamphilus) butteflies up on the disused part of Blackbushe airport at this time of year, but rarely do we get close enough for a half decent photo, which is what this is; it’s not as well in focus as I would like. 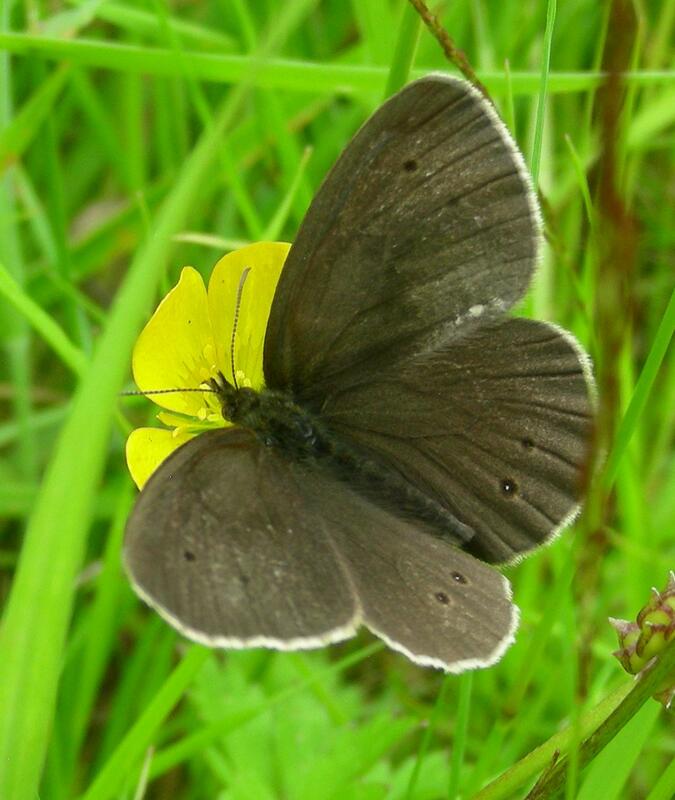 But whilst trying to get that shot, I found this little beauty disguised among the Red Clover. I think, that with the kink at the end of the leaves, and the lack of spots it is an Early Marsh orchid (Dactylorhiza incarnata), but I’m more than willing to stand corrected. There is a close-up of the flowerhead on my Flickr account here if it’s any help with the ID. 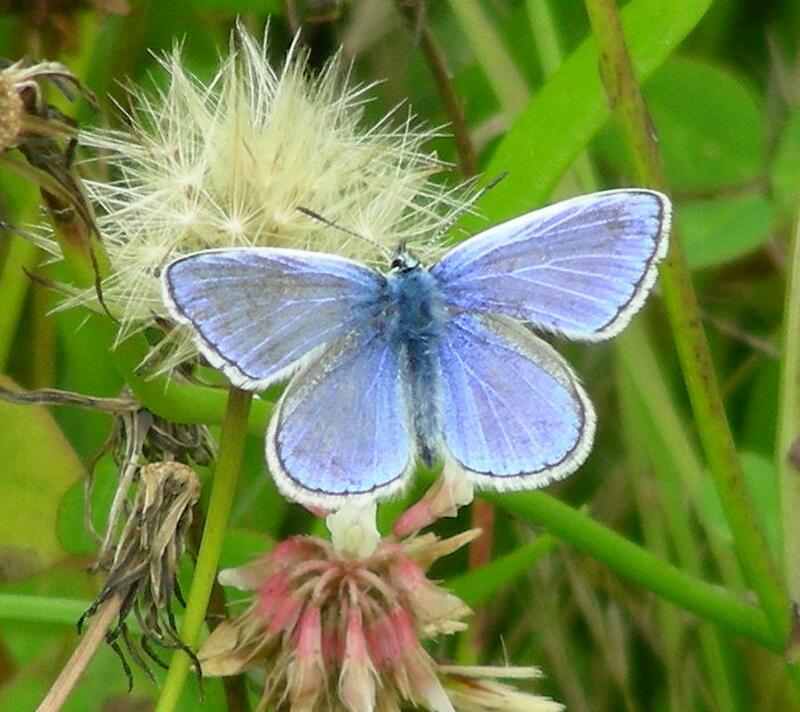 Such is the joy of the countryside; sometimes you just have to look really closely to find the hidden gems! By the way, despite comments I’ve seen from people saying this isn’t a good thing, I think it’s wonderful to see the fields still haven’t been mown at the Red Cross Centre! So my menfolk are now officially both into the school holidays! Fortunately this has arrived just after the new vicar has started to get his ‘feet’ under the parochial table, and I feel a slight sense of pressure lifting. But in some ways the balancing act of family and ministry gets more difficult – I want to increase the time I spend with the family, but I still have responsibilities to things like preaching. But that’s next week! 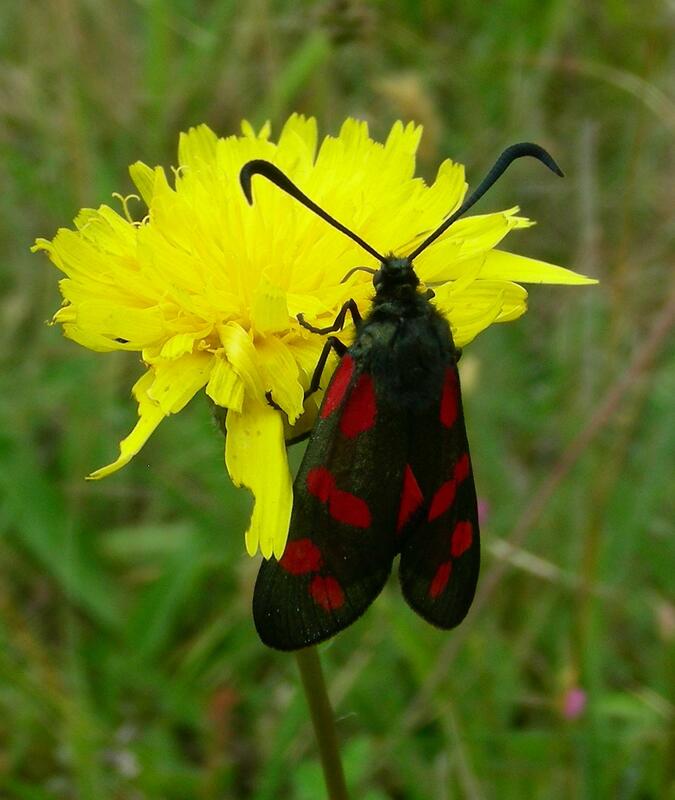 First, and update on the Burnet moths which I noted on 29th June were almost non-existent. Well not a lot has changed. Just this last week, we’ve started to see the occasional one, but despite there being loads of trefoil (the main foodplant of the lava) they are still incredibly scarce this year compared to the previous two. I really miss them as they’re such a delight, with their stuttering flight across the heath, and so vivid in their green/black and scarlet livery. 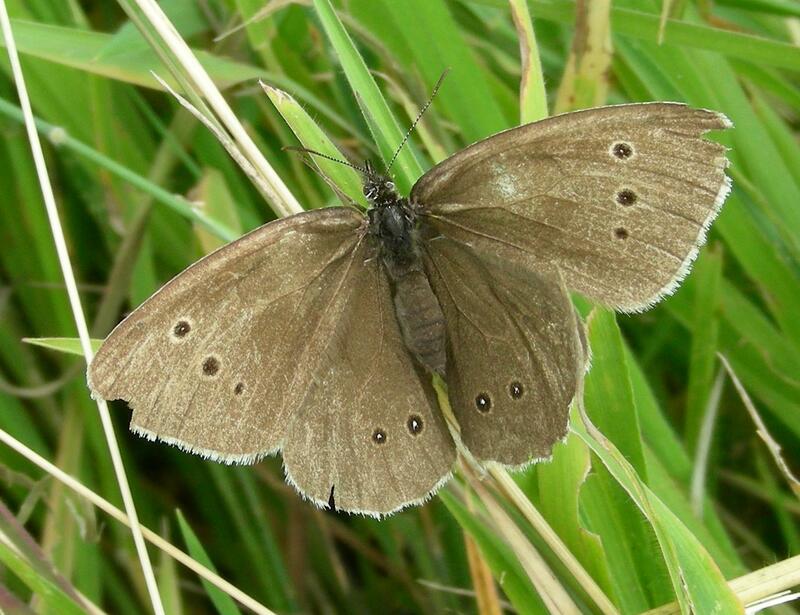 The number of ringlets in the tussocky field we frequent did eventually pick up, peaking about the 2nd July. Now though, they are almost all gone, though we did find a faded one yesterday. The contrast in the density of ‘chocolate’ colouring between early July and now, just 4 weeks later is really noticable! 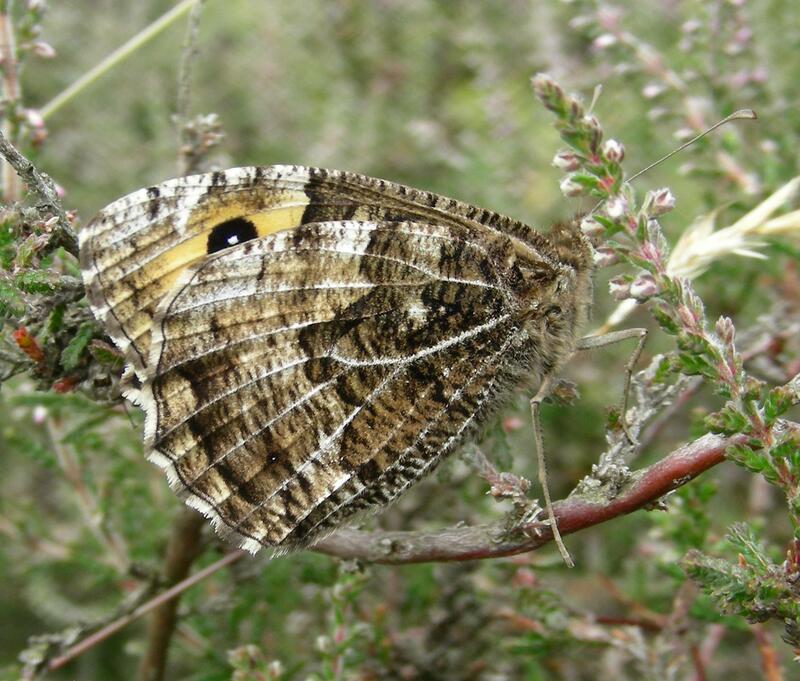 There are still a few Common Blue’s out on the heath, but the noticeable newcomer for me has been the Grayling. Not as startling in colour, it’s actually proved really tricky to photograph: you see it in flight, registering it as ‘different’, only to lose sight of it on landing – it’s camouflage is incredibly good, especially if it lands on a stoney footpath. 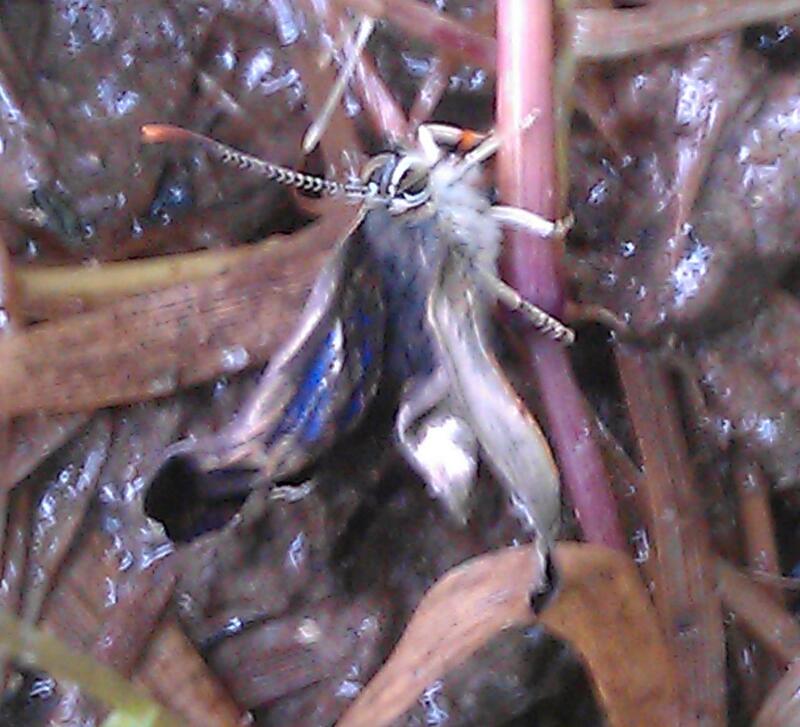 I was fortunate that this one settled on some ling but even there it’s still fairly well hidden!